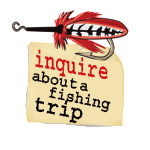 The Saltwater Angler has an extensive inventory of travel and fishing apparel and gear for men and women. We carry brands like Simms, Patagonia, Ex-Officio, Columbia, Guy Harvey, Pelagic, and our own brand, Saltwater Angler. Please visit our store when in Key West, or our Ebay Store for sale items listed below (click on any item and you will go to our store), and please visit Saltwater Angler's online store for unique items you can only find at the Saltwater Angler. Thank you for your business.